Sick of dealing with painfully slow, unreliable Internet when you’re on the road? You’re not the only one. It often feels like an endless battle, waiting for pages to load or apps to respond, spending your precious vacation time looking at a blank screen rather than a beautiful beach. So, we’ve put together a whole bunch of tips for making the most of that tiny trickle of data that’s flowing into your computer or smartphone. Some of them speed that dire connection up, some of them help you make better use of the meager bandwidth you’ve got. Either way, they’re definitely useful — after all, the faster you can get things done online, the sooner you can head out and enjoy the real reason you’re travelling in the first place. If you’re a regular user of Wi-fi on the road (and lets face it, most of us are), you’ll be all too familiar with weak connections and slow Internet speeds. The wireless access point always tends to be as far from your room as possible, leaving you to gaze sadly at a blank page as your connection drops out yet again. For laptop owners, investing in an external wireless card makes all the difference. The good ones have powerful transmitters and better antennas that reach much further than the one in your laptop, giving stronger, more reliable connections. They can often let you use networks you can’t even otherwise even see, never mind connect to. They all work much the same way, plugging into your laptop via USB, and giving you a second, typically larger set of wireless networks to choose from in your settings. Got a Windows machine? Check out the Alfa AWUS036H. I’ve been using it for years, and despite my one now being old and beaten up, it’s still going strong. If you’re a Mac or Linux user, or just want something slightly cheaper than the Alfa, I’d suggest the Panda PAU06 instead. For those not traveling with a laptop, a travel router brings strong Wi-fi to phones, tablets and other devices. The better ones have a whole range of features, including boosting the signal from an existing Wi-fi network to give better speeds on whatever device you’re using. You typically set it up from your web browser, then put it wherever you can find the best Wi-fi signal, and let it do its thing. I’ve been super-impressed with the Hootoo Wireless Travel Router. Not only does it give strong Wi-fi, it’s also a portable battery for charging up USB-powered gadgets, plus a bunch of other useful features without being big and bulky. It now comes on every trip with me. It might sound silly, but just moving around a bit can make a big difference. Interference from microwave ovens, cordless telephones and other electronic equipment plays havoc with your wireless signal, and building materials like concrete block radio waves very effectively. Even moving a few feet to the other side of the room could be the difference between a working connection and a lot of frustration, and takes just a matter of seconds to check out. If you want to get all technical about it, download something like Netspot (Mac) or Heatmapper (Windows) to map out the best place to park your laptop. They’re both free, and give you a visual indication of the best spots in your room to stream your favourite show. Under ideal conditions, most wireless networks are still much faster than the Internet connection at the end of them. Sadly though, those conditions rarely exist, especially in busy urban areas. Every wireless network competes for space in a crowded radio spectrum. The more networks you can see, the more interference there is, and the worse everyone’s connection gets. If you can see a dozen wireless networks besides the one you want to use, that’s not a good thing. Moving to a wired network gets rid of that problem. If your laptop has a network socket built in, and there’s an Ethernet port in your room (they look similar to phone sockets, but a little larger), try to borrow a cable and connect it up. If you find yourself doing this regularly, pick up a short Ethernet cable and throw it in your bag when travelling. If your laptop doesn’t have a network socket (many non-business laptops don’t these days), don’t despair — you can add one with a little USB accessory like this. Some travel routers, including the Hootoo mentioned above, can also turn a wired connection into a dedicated wireless one, just for you, that works with phones and tablets as well. Probably the simplest tip of all – just plug your laptop into a power socket. Most computers will reduce the strength of their wireless card slightly when running on battery. That’s great for giving you longer in front of the screen, bad for seeing that weak Wi-fi network down the hall. Connect your power cable, and you might just be able to connect to the Internet as well. After a successful Kickstarter campaign a while back, Connectify has released Speedify, an easy way to join multiple Internet connections together. Wired, Wi-fi, cellular, whatever… you can combine them, and use all their bandwidth at the same time. Best of all, with that external wireless card you’re going to buy, you can even use two Wi-fi networks at the same time. If you have a 3G or LTE connection with plenty of data, or you’re somewhere you can connect to several Wi-fi networks, this can dramatically improve your Internet speed. I’ve used it a lot over the years, and can vouch for its effectiveness. When one network drops out, the others automatically take over. 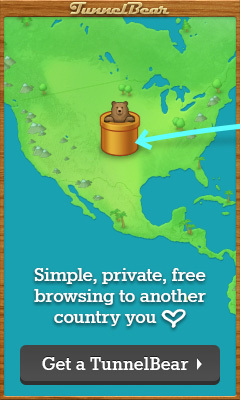 It also works as a VPN, to help keep your browsing secure, and works on Mac, Windows, Android and iOS. There’s even a free trial to get you started. You can even combine it with the company’s Hotspot product, to turn your Windows laptop into a Wi-fi hotspot, and share that speedy connection with all your other devices.. Many of those handy apps you’ve got installed are your worst enemy when battling a slow connection. Your antivirus software, operating system and app updaters, Skype, Dropbox, Evernote, Crashplan, BitTorrent and many others will jump all over the limited amount of bandwidth you have available, especially if you haven’t connected for a while. That leaves virtually nothing for your browser, email, or whatever you’re actually trying to use right now. Shut down or suspend all those background programs, and you’ll finally be able to load that map or send that vital status update. Just want the information, without all the bells and whistles that make websites take forever to load? Try using the mobile version of the site, even from your laptop. It’ll have less information and may not look particularly great (https://m.facebook.com, for instance), but on a slow connection it will often be the difference between a page that displays and one that doesn’t. If the site insists on giving you the desktop version, you can trick it into thinking you’re using a mobile device by changing your user agent string. The least painful way to do this is via a browser plugin like User Agent Switcher for Chrome. Even your choice of web browser makes a difference. Both Opera and Chrome have a built-in system that can compress text and images before they get sent down to your device. The end result? A lot less data has to make its way over that slow connection, so web pages load noticeably faster. The “Data Saver” feature is built right into Chrome for Android, and can be easily enabled for Chrome desktop and ChromeOS too. It’s likewise available in Opera mobile and desktop, under the names “data savings” and “turbo mode”. On the subject of mobile data compression, Opera has another trick up its sleeve. Install the Opera Max app on your Android device, and it’ll start compressing as much data as it can, regardless of which app is using it. The company boasts data savings of up to 50%, which makes a huge difference on slow connections. Enabling ‘privacy mode’ helps keep you safe on insecure networks, and Opera Max cuts your data use whether you’re using cell data or Wi-fi. If you’re on a slow or limited mobile connection, Opera Max is your friend. Sick of waiting for your favourite news site to load, or email to refresh when you hit reply? Switch to an offline version instead, and take that slow connection right out of the equation. Gmail has an offline mode for just that purpose, and programs like Microsoft Outlook and Mac Mail let you use your email offline with other webmail providers. Worst-case scenario, just compose your new emails in a text editor or word processor, and paste them in when your connection gets a little better. I use apps like Pocket to save any web page for offline reading, and RSS readers like Byline and gReader to sync my favourite sites so I don’t need an Internet connection while reading them. We covered a whole bunch of other great offline apps here. Got any other tips for speeding up horrible Internet connections? Share them in the comments! Fabulous post, thanks! Will be implementing some of these right away and sharing with my nomadic peeps. We live in an RV and travel throughout the US. Also, we cruise quite a lot. Will definitely look into the Alfa AWUS036H. In the RV we use a Wilson “trucker” antenna, which really brings in the 3G data signal. In really marginal areas the Wilson amplifier helps too. Of course that is cell data, not the WiFi signal. So, both in bad WiFi areas, and on cruise ships, a WiFi booster looks like a very good idea. What is your best recommendation for a wifi booster for a Macbook Pro? I bought an Alfa a few years ago that was supposed to work (even on password protected hot spots) . After purchase, I found out that it completely stopped compatibility 3 OS upgrades before I even bought it. I currently run Yosemite on my 5 year old MBP and will probably never upgrade the OS again. Thanks, and btw, great post! Yep, some of the older Alfa cards (like the one I’m using, in fact) don’t support recent versions of MacOS. I mentioned a Panda wireless card in the post that gets excellent reviews and works with Yosemite (and later). It’s inexpensive, too. Dave I want to LinkedIn this stuff man. Get a LinkedIn share. Hah, I used to have a LinkedIn button on the site, back in the day… it never got used, so I took it off! ASUS WL-330NUL is also a great travel WiFi router. It needs external power from USB port or USB power adapter, but it’s super small and light. It gets very bad reviews from both tech sites and customers — what appeals about it for you?